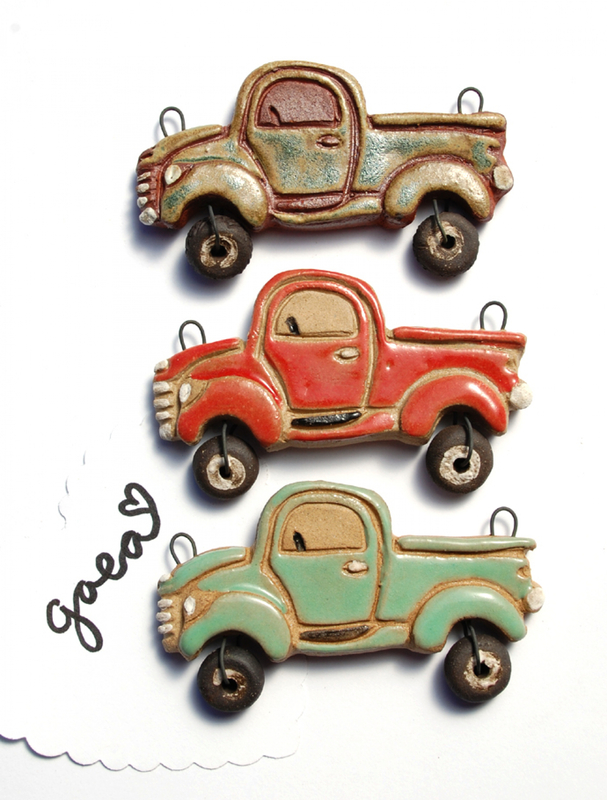 Color choices for the Vintage Truck pendant. These pendants will be made and mailed out when ready! This may take up to 2 weeks plus shipping time. 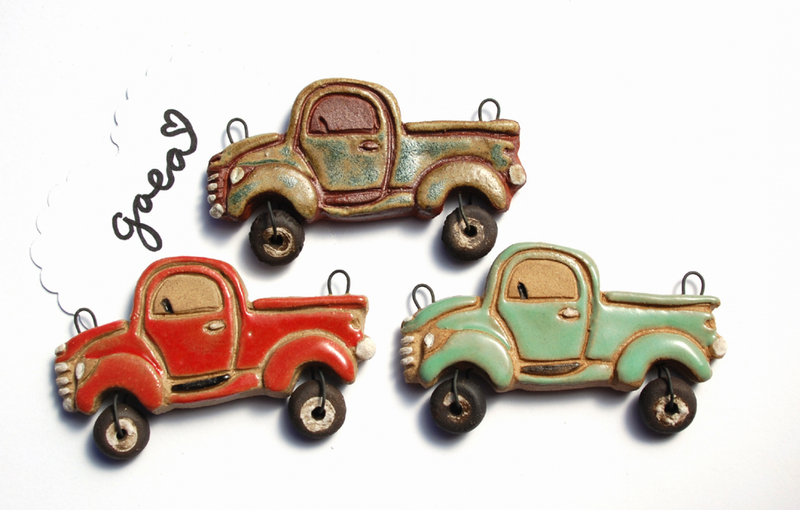 These vintage and candy tone, artisan made ceramic truck pendant is handmade and an original design! 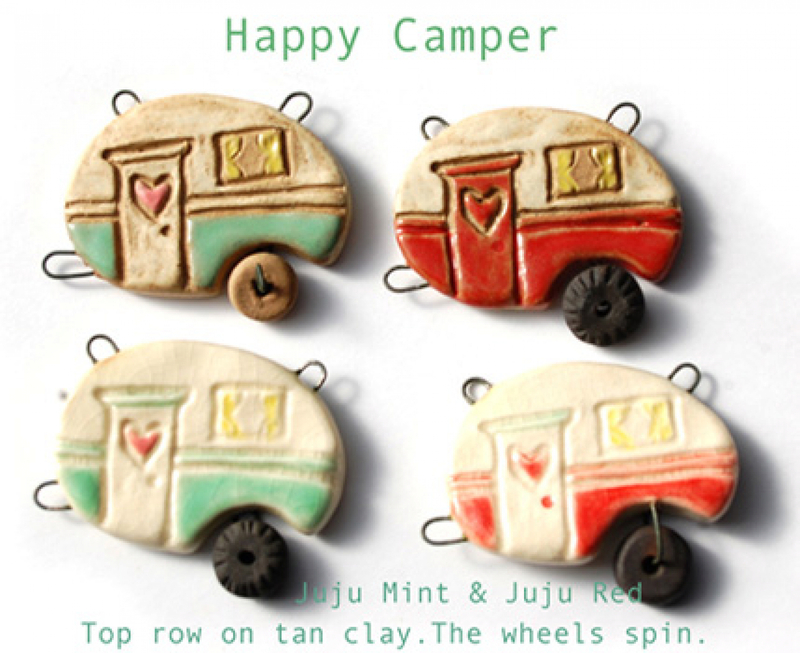 The trucks are hand formed and hand glazed and have two wheels that spin! It is glazed in a variety of pastels and is about 2 1/2" wide and 1 3/4" tall. These artisan made goods are designed (Really! Hand carved designs, from beginning to end) and created with love by Gaea Cannaday! Your support of artist made goods is greatly appreciated! This listing is for the 1 pendant in the color you choose!